The recent decision by the Oregon Land Use Board of Appeals was very favorable and concluded that Pacific Gales’ rights were vested as it pertains to the Conditional Use Permit to build the 18-Hole Golf Course, Clubhouse and Maintenance Building. As the team now works on the final phases of financing for the project, Managing Partner Jim Haley was quick to acknowledge the support from Port Orford, Curry County and the State of Oregon. “I really want to thank everyone, from the area residents who have shown up on our behalf at the many city, county and state meetings, to the local, county and state representatives who have helped us move closer and closer to bringing this world-class project to the Oregon Coast.” The Pacific Gales team has received widespread interest in helping finance the golf development, and they have also re-opened the Founders Club with a final deadline of January 4, 2019 for individuals and corporations who are interested in early access and a lifetime of golf on this one-of-a-kind oceanfront property with views of the Pacific, Elk River Valley and Cape Blanco Lighthouse. On the current timeline, Pacific Gales is working toward a Grand Opening in 2020. Did You See Pacific Gales on Golf Channel with Matt Ginella? It’s been a strong start to 2017 for the Pacific Gales team as we move closer to breaking ground on what some are calling the most highly anticipated new course in America. Not only are Founders Club inquiries strong — including interest from members at some of the nation’s most prestigious clubs — but the project recently got a media boost from Golf Channel when Matt Ginella and Cara Robinson discussed Pacific Gales among other high-profile projects across the country [watch the clip above]. And Pacific Gales was also the sponsor of Scotland Week on the “Talking GolfGetaways” podcast on GolfNewsNet.com. With golf course permitting now in place just north of the bustling fishing village of Port Orford, Oregon, Pacific Gales is working toward closing Tier 1 fundraising this summer with an eye on beginning course construction in the fall. Routing plans by architect Dave Esler are being polished and the construction team led by Managing Partner Jim Haley and Project Manager Troy Russell is beginning to take shape. For more information about how you can help make Pacific Gales a reality — and you and your family can play a lifetime of links golf in one of the world’s most stunning coastal locations — visit our Founders Club page. It’s been an eventful year for the experienced team behind the Pacific Gales golf course project along the Oregon Coast, just 30 minutes south of Bandon and 90 minutes north of the California border. Pacific Gales opened 2016 with an Oregon Land-Use Board of Appeals victory, clearing the zoning hurdles that stood in the way of building the 18-hole modern links among the dunes of what many have called one of the most beautiful settings in the United States — on the bluffs of Knapp Ranch, just outside the small fishing village of Port Orford, and within view of the famed Cape Blanco Lighthouse. And now, as partners Jim Haley and David Esler work to detail the construction timeline and tweak the final course routing, fundraising through the Pacific Gales Founders Club takes center stage throughout the remaining months of the year. The Pacific Gales Founders Club offers a lifetime of free golf at the course along with a wide range of benefits. Founders pay no dues, no assessments and have no monthly minimums. In addition, a one-time transferal of a Foundership is also included in the package. In the end, though, the team of Haley, Esler and Project Manager Troy Russell know seeing is truly believing — stepping foot on Pacific Gales sells itself. 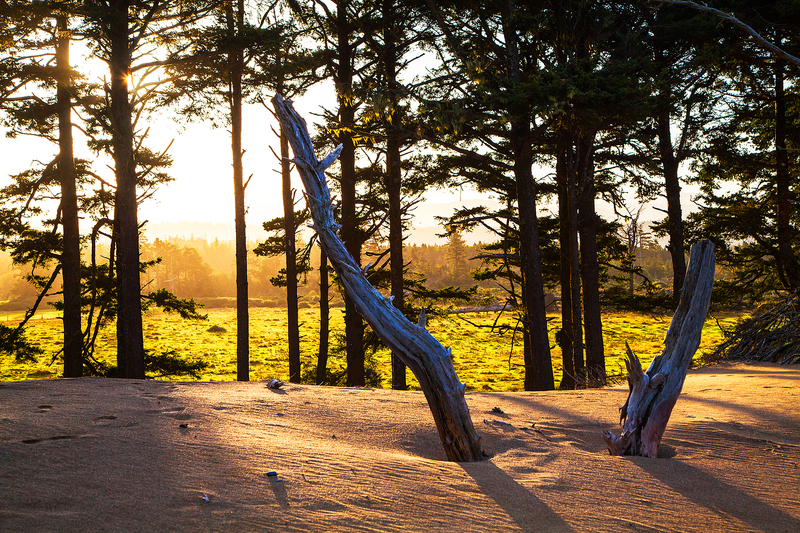 For more information about Pacific Gales and the Founders Club, visit www.pacificgales.com. The Pacific Gales Founders Club is hitting full stride, and the golf media is taking notice. Architect Dave Esler hit the satellite radio airwaves recently to discuss the project, golf architecture and more on SiriusXM PGA Tour Radio’s “Mark Carnevale Show” (listen above). The Pacific Gales spirit can also be seen over at PlayGolfGetaways.com, where veteran golf-travel writer Vic Williams has penned a memorable piece based on his site visit to Knapp Ranch (when he also snuck in a few swings from the would-be 18th tee). Imagine the possibilities. Playing golf every day you want on one of the most picturesque stretches of oceanfront wonder anywhere in the world. For the rest of your life. What would you pay for the pleasure? Soon it can be more than a dream. For a limited number of golf travelers, Pacific Gales can be your true golf getaway. Welcome to the Pacific Gales Founders Club. This limited-membership program will begin accepting applications in early July, and interest for these rare lifetime Founderships is already gaining steam throughout the Northwest and beyond. Not only will Founders receive unlimited preferred access without green fees, dues or assessments, they will also see a host of benefits ranging from access to the design and construction phases to exclusive VIP preview play. A Founders Club Concierge will coordinate all activities to make ensure Founders receive the industry-leading level of service Pacific Gales is committed to providing — plus priority tee time bookings, starter times, VIP Grille access and preferred rates for accompanied guests. National Founderships are available to single individuals throughout the United States and beyond, and Corporate Founderships are also available. For additional details, visit the Founders Club page to assess whether you’re ready to Experience Pacific Gales from the Beginning and Beyond. The May 15, 2015 decision by the Oregon Land Use Board of Appeals denying all golf course-related claims by environmental activists has cleared the way for Pacific Gales to build an 18-hole golf course on the Knapp Ranch property just north of Port Orford — 30 minutes south of Bandon. Although the decision was remanded back to Curry County, the sole remaining issue is a minor sticking point regarding the size of the clubhouse and haggling over the definitions of “maximum occupancy” and “design capacity” — which will be addressed this summer with additional details of the structure to be provided by the Pacific Gales team. During the permitting and appeals process — which began in Curry County and went all the way to the state level — the Pacific Gales team began examining a fresh approach to fundraising for construction of the golf course. And now with the environmental hurdles cleared, the team will launch its limited-member Founders Club program in July 2015 and expects to begin pre-construction on the course as early as fall of this year as they work toward a 2017 soft opening. Oregon-based writer Ron Bellamy has penned two pieces about Pacific Gales recently after making a site visit to Port Orford earlier this year to see the Knapp Ranch site up close. The first story, titled “Aspirations of Greatness” appeared on the front page of the Eugene Register-Guard’s “Golf Extra” section in April. Read Bellamy’s complete story here on the Register-Guard’s website. Bellamy also went on assignment for Pacific Northwest Golfer magazine, where he wrote “Pacific Gales Coming to Fruition” for the Pacific Northwest Golf Association’s U.S. Open-themed May issue — and was the first journalist to break news of the upcoming Founders Club fundraising program, which will launch officially in early July. To view the digital version of the current issue of Pacific Northwest Golfer, visit the PNGA website here. During Pacific Gales’ visit to the PGA Merchandise Show in Orlando in January, course architect Dave Esler stopped by for a wide-ranging radio interview with “Golf Connections with Mitch Laurance” on the thegolfdirector.com network. Mitch and Dave discuss the highly anticipated new golf course project along the Southern Oregon coast, just north of Port Orford less than 30 minutes south of Bandon. Dave talks about everything from the beauty and challenges of the oceanfront site to his design philosophy of building golf courses with a “light touch”. A regular video contributor to GolfGetaways and On the Green, Mitch Laurance’s colorful career includes work on ESPN, NBC’s “Saturday Night Live” and HBO’s “Not Necessarily the News” in addition to acting roles in “Dawson’s Creek,” “LA Law” and more. His “Golf Connections with Mitch Laurance” Internet radio program has featured guests including golfing greats Tony Jacklin Annika Sorenstam and Peter Jacobsen, plus journalists and commentators ranging from Ben Wright to Golf Channel’s Matt Ginella and Todd Lewis to Golfweek’s Bradley S. Klein. More than 50 Oregonians joined Pacific Gales Troy Russell on Jan. 11 for an informational meeting about the golf course project planned for the Knapp Ranch area outside Port Orford, Oregon, about 30 minutes south of Bandon. The next informational meeting is set for Wednesday, Jan. 22, at 7 p.m. at the American Legion Hall on 11th Street in Port Orford. The Pacific Gales conditional use application goes before the Curry County Planning Commission this month, but there is still time for Pacific Gales proponents to contact the county by letter or phone to voice support. Russell said the first informational meeting went well, allowing the Pacific Gales team to put many rumors to rest about the golf project, which since its announcement in late 2013 has generated interest not only locally but from golf media across the country, including Golf Digest, Golfweek, Links and GolfGetaways magazines as well as websites such as Cybergolf.